Ep. 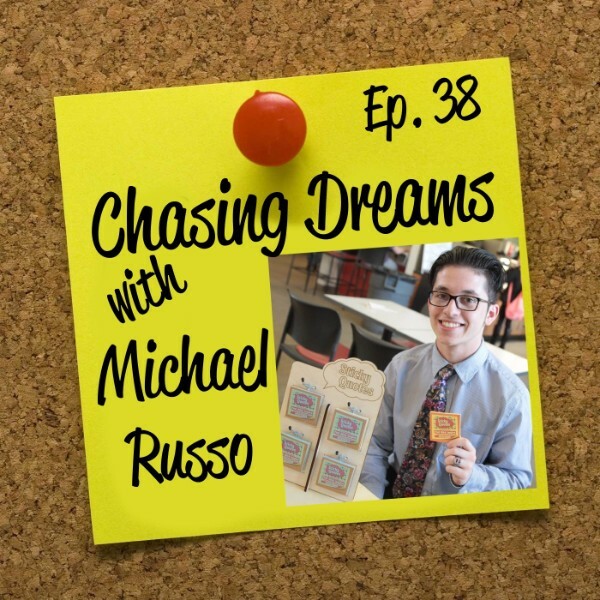 38: Michael Russo – Making Notes on Quotes Cool and Easy | Aimee J.
Michael Russo is at the time of this recording a full time college student and founder of Sticky Quotes, which we’ll talk about more later in this episode. Michael is double majoring in Business Management and Philosophy and is very active on campus, serving as President of the Entrepreneurship Club. One of his goals is to one day found a company in the clean/renewable energy industry that helps save the planet! He’s already saving the planet with his positive attitude and sticky quotes business, please welcome Mike to the show. A high school entrepreneurial club project that went big. Michael Russo was the very first student who signed up to participate in his high school’s new entrepreneur’s club. You could say the club itself was a startup. It was out of his experience as part of that club that his mentor encouraged him to take what seemed like a silly idea and make it into a business. That’s how Sticky Quotes was born. 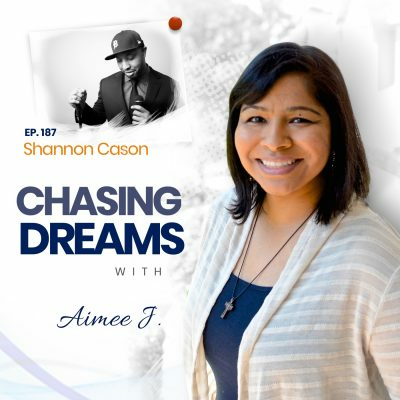 On this episode Aimee digs into the story with Michael to learn about the inspiration behind this inspirational business and the road to success that he’s paved before he even graduated from college. Be sure you take the time to listen. Finding a way to mass produce his product wasn’t easy. But Michael Russo kept at it. He did the grunt work himself for a very long time, manually copying pages of templates and sticky note quotes at his local office supply megastore. It was because the desire to see his high school entrepreneur club project succeed was stronger than his desire to be comfortable. What are your dreams? Are you willing to pay the price to see them come to life? You’ll learn a lot from hearing the lengths Michael went to in order to make his dream come true, so we hope you listen to what he has to say. Finding support in like-minded people is always a win. Being in an entrepreneur’s club in high school taught Michael the benefits of bouncing ideas and difficult situations off a group of like-minded people. Since that time he’s always made a point of being in an environment where that kind of synergy and give and take is available. He credits the great people around him with much of the success his Sticky Quotes business has been. You can hear Michael’s advice about getting into mastermind type groups on this episode of Chasing Dreams. He wants to change the world through renewable energy. Michael Russo is a young guy. In fact, he’s just about to graduate college around the time this episode of Chasing Dreams publishes. But his vision is far bigger than most college graduates. He’s got the ambition and drive to create a renewable energy company that can change the planet. He believes that it can be done through hard work and research and that scientific dedication and testing can make all the difference for the future of the planet. 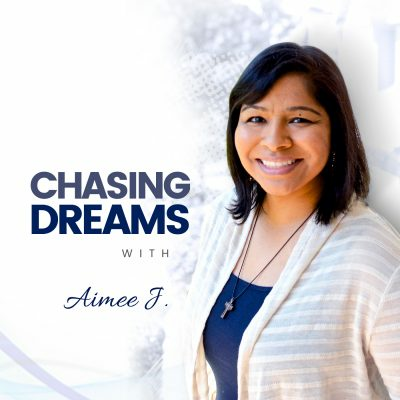 You’re going to hear his exciting vision for that company on this episode as Aimee J. asks him to talk about his dream. [0:47] Aimee’s introduction of Michael Russo. [2:03] Michael’s upcoming graduation from college: what it what he imagined? [5:59] How keeping busy keeps Michael focused. [6:40] The way that Michael came up with Sticky Quotes. [11:02] The way Michael originally created his Sticky Quotes. [15:22] What kept Michael going when things weren’t going well? [18:54] Other projects Michael’s entrepreneur club in school worked on. [20:52] The benefits Michael has found in mastermind groups. [21:32] Michael’s tryout for Shark Tank. [24:36] What is next for Sticky Quotes? [27:43] The ways Michael has expanded the business so he doesn’t do it all himself. [28:38] Michael’s goal to found a clean and renewable energy company. [31:31] One thing Michael would tell a Dream Chaser (his recommendation). Be open minded. Say yes to things you normally wouldn’t say yes to. Do things you normally wouldn’t do. When you try new things, opportunities pop up.